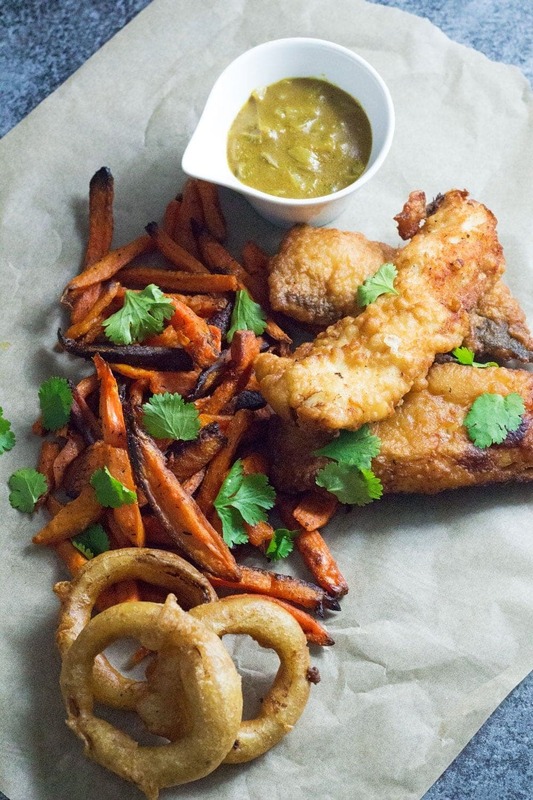 This Caribbean style fish and chips is made up of rum battered fish, sweet potato fries, jerk onion rings and an incredible coconut curry sauce! I adore battered fish, it’s delicious and one of my favourite ways to indulge but if you’re looking for some more ways to use fish that are a little lighter then try out these sheet pan fish tacos or my peanut salmon noodles with pak choi. Keep reading for this yummy fish and chips recipe and an amazing rum batter for fish! 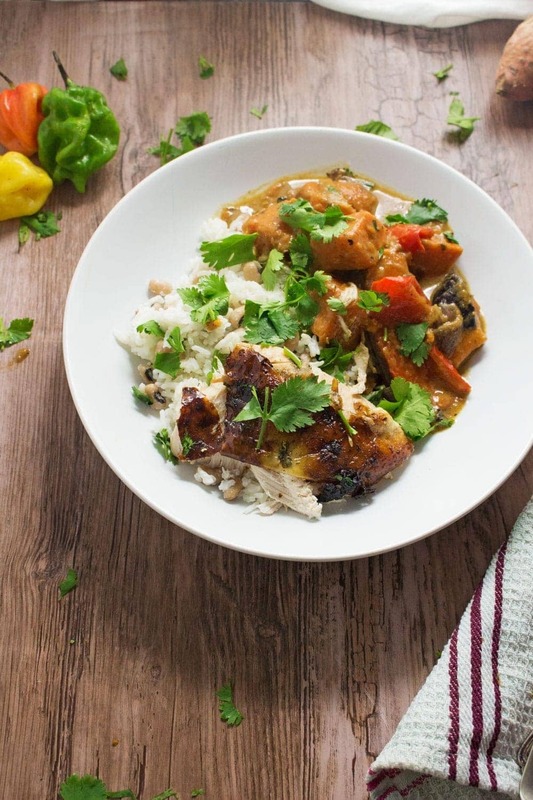 One of my favourite ways to come up with recipes is to take a really classic meal and put a twist on it that uses flavours from a different cuisine. It’s so fun to reimagine things I’ve grown up eating and try and create something new that still retains some of that familiar eating experience. Will was actually the one who came up with the idea of doing a Caribbean version of fish and chips. We’ve made a fish batter using gin before and it helps to get the batter really light and delicious. For this recipe we figured that using rum in the batter would help to give that signature Caribbean flavour. Once we’d figured out the fish we needed to work out the rest of the meal. Sweet potatoes seemed like the obvious choice for the chips. Something to sweeten everything up a bit. I outright refuse to eat fish and chips without curry sauce. I don’t know why anyone ever would to be honest. Curry sauce is so delicious and there is nothing like chip shop chips dipped in curry sauce. 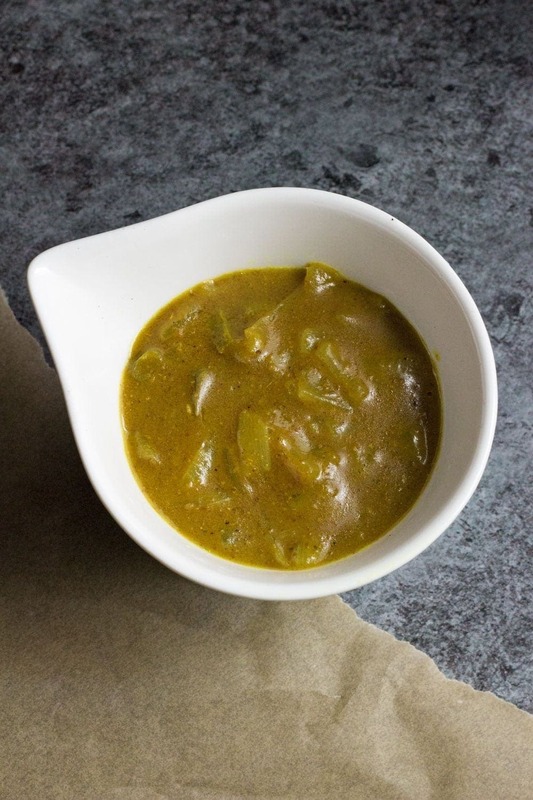 Normally curry sauce is thickened with a little cream but we went for coconut milk and it gave an amazing flavour. 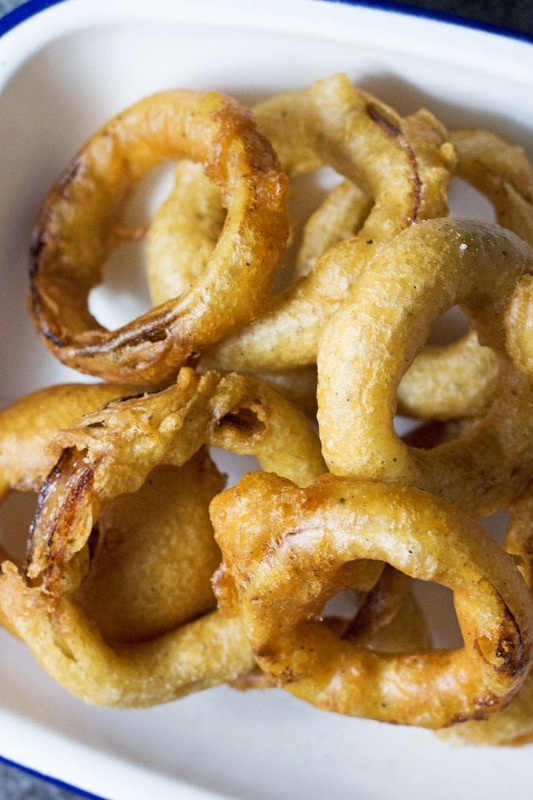 Finally, I think we can all agree that a meal can only be improved by onion rings. 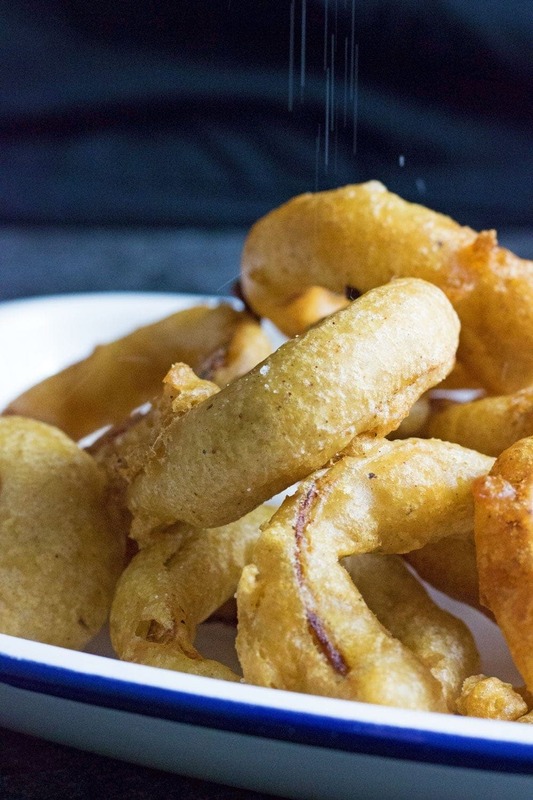 These ones have jerk seasoning stirred right into the batter before you dredge the onion rings and deep fry them so you get a wonderful spicy flavour with every bite. We ate this a few weeks ago before we moved flats which is the reason it’s taken a while to get it up on the blog and I’ve been AWOL for a week. We’ve been surrounded by boxes all week and coupled with the fact that it then took the internet folks a whole five days to sort out our wifi (I mean seriously, is it not just like, pressing an ON button?) I wasn’t able to do any blogging which sucked. Fortunately our lives are starting to get a little more organised so I’ll be back to regularly scheduled programming as of today. If you want more fish and seafood recipes then head right >>> here. 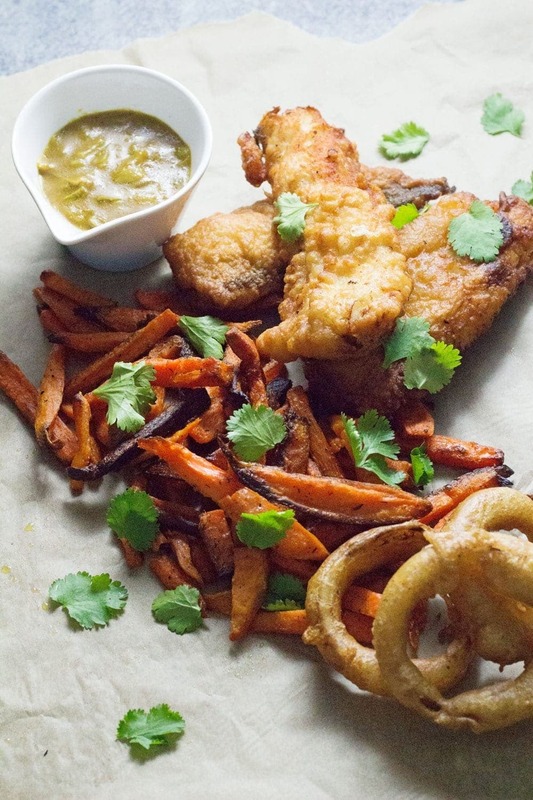 WONDERING WHAT TO DO WITH THE LEFTOVER INGREDIENTS YOU’VE GOT FROM MAKING THIS RUM BATTERED FISH WITH SWEET POTATO FRIES AND COCONUT CURRY SAUCE? 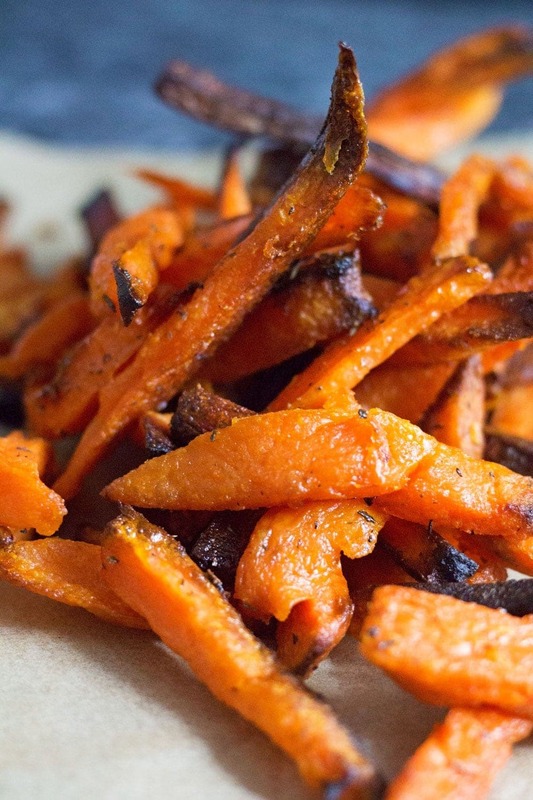 Bring a large pan of water to the boil and boil the sweet potato fries for 5 minutes, drain and set aside. 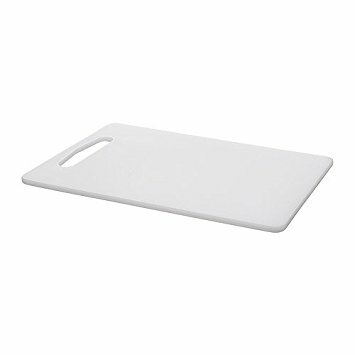 Preheat the oven to 200°C (fan oven) and put a large roasting tray with a couple of tablespoons of oil in the oven to heat up. When the oil is hot, place the sweet potato fries on to the tray with the mixed herbs and a sprinkling and salt and pepper and return to the oven. Cook for 30-40 minutes until crispy and browned. While the fries are cooking heat a litre of vegetable oil to 190°C in a large heavy based pan. For the fish, mix the yeast, sugar and sparkling water together in a large bowl. Add the flour, rum and vinegar with a sprinkling of salt and pepper. Leave to the side until it starts to bubble. Dip the cod fillets into the batter and make sure they're fully coated then place in the hot oil and fry for 3-4 minutes until browned then remove with a metal slotted spoon and place on a plate lined with kitchen paper to drain. Sprinkle with salt. Make the onion rings. Mix together the flour, sparkling water and jerk seasoning then season generously. Coat the onion rings in the batter and fry in batches for a few minutes until browned. Places the cooked onion rings on a paper towel lined plate and sprinkle with salt. While the fish and onion rings are frying make the curry sauce. Melt the butter in a saucepan over medium heat and add the onion and scotch bonnet. 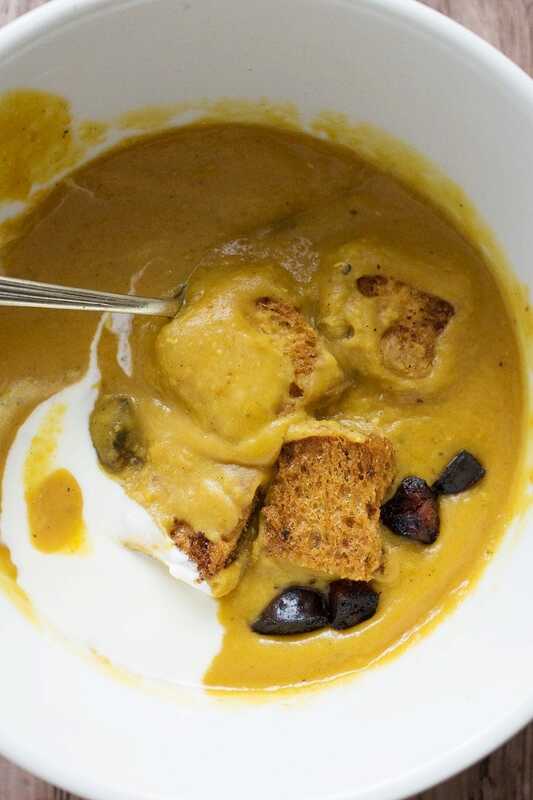 Stir through the flour and curry powder followed by the coconut milk and chicken stock. Bring to a simmer and cook for 5-10 minutes. Finish by stirring through the coriander and lemon juice. I love this whole meal! Definitely pinning for later. 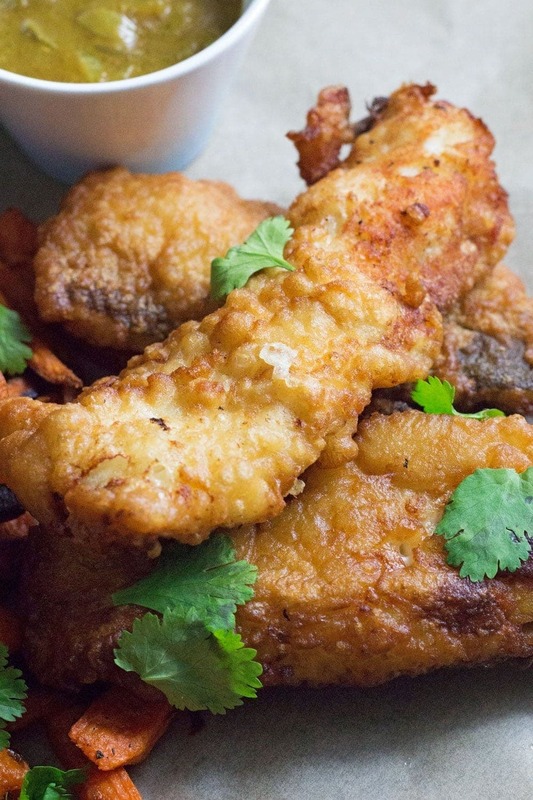 Everyone’s heard of beer-battered fish, but rum?! What a creative idea! Love the sweet potato fries and curry sauce, too. Definitely going to have to make this asap! Wow-what a delicious looking meal! The fish and fries look so crispy and that curry sauce is amazing! Yum! 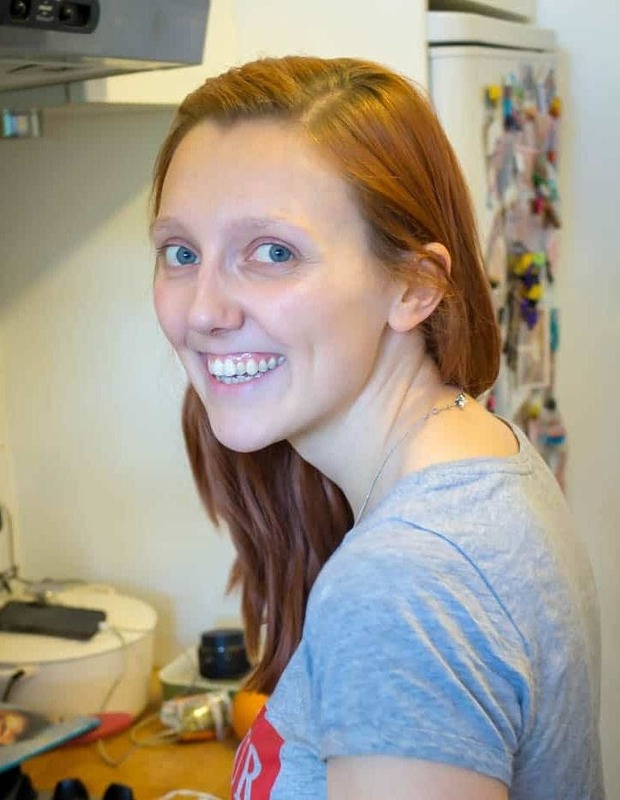 Seriously, Amy these look amazing!! The addition of the rum to the batter is truly inspired! And the sweet potato fries and onion rings? Well that goes without saying that I would gobble them up!! Lovely meal! Oh yeah! I’m making that batter for some onion rings and the sauce for everything I can think of.